So, first of all - shout-out to ElizabethAnneDesigns cause this is amazing! 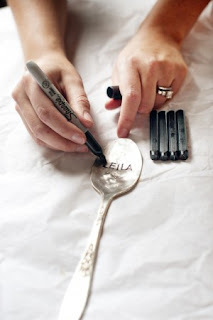 And then second - if you're the kind of bride who has a small-ish wedding, please do this. Hammer some spoons with that pent up frustration for your DJ or your in-laws or whatever and then voila! Perfection.